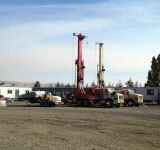 Geothermal drilling is utilized for residential properties as well as commercial buildings. A geothermal system can provide both heating and cooling for a property. Geothermal drilling for use as a heat source can offer residential home owners and commercial building owners energy savings over the life of the system. 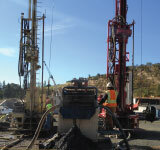 We would love to discuss your Geothermal drilling project with you. Please contact us.